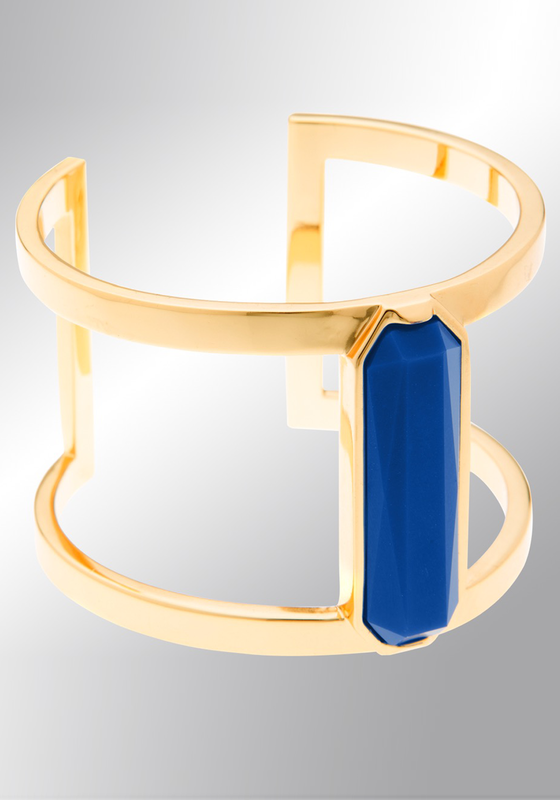 This open cuff bangle from the eShe jewellery collection by Newbridge has a distinctive design. 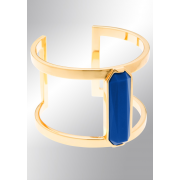 A gold tone bangle with an open design that features a single blue rectangular shaped stone. An eye catching piece of jewellery that you will achieve lots of wear from.